March 8, 2017 — Benjamin H. Sheppard, a former distinguished lecturer at the University of Houston Law Center and director of the school's A.A. White Dispute Resolution Center, died Saturday at his home in Houston at the age of 74. "Ben Sheppard was an outstanding member of our Law Center community and a real gentleman who will be very much missed," said Dean Leonard M. Baynes. 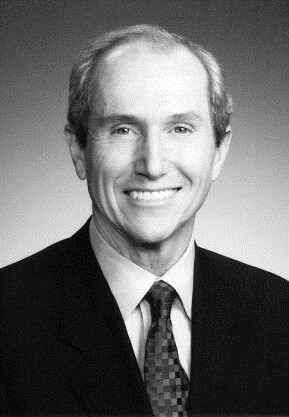 Sheppard joined the Law Center faculty in 2006 after his retirement as a partner from Vinson & Elkins L.L.P. where he practiced from 1969-2005 and was co-chair of the firm's worldwide international dispute resolution practice. He taught courses in international commercial arbitration and litigation. As director of the A.A. White Center, a division of the school's Blakely Advocacy Institute, he conducted CLE courses in international and domestic commercial arbitration. "Besides being a first-rate lawyer and an internationally known expert on arbitration, he was among the most decent people I've ever met," said Professor Peter Linzer. "Those of us who took his between terms four-day course on arbitration knew how talented he was, but everyone who just spent a half hour with him had the opportunity to see what a good person he was." "A wonderful colleague and one devoted to the personal and professional welfare of our students," echoed Professor Emeritus Robert P. Schuwerk. Sheppard was an elected member of the American Law Institute, one of the highest honors in the legal profession. He was recognized 14 times by his peers as among the "Best Lawyers" in Texas in the field of International Commercial Arbitration and International Trade and Finance Law. He also served on the drafting committee for the International Council for Commercial Arbitration "Drafting Sourcebook for Logistical Matters in Procedural Orders," which was published by the ICCA with the assistance of the Permanent Court of Arbitration, Peace Palace, The Hague. The sourcebook is designed to assist abitrators, parties and counsel in the organization of international arbitration proceedings. He also served on commercial, energy, oil and gas, and international arbitration panels, chaired the disputes committee of the American Bar Association, and authored reports and recommendations for ABA working groups. He was honored as a fellow of the College of Commercial Arbitrators, he co-edited "Take the Witness: Cross-Examination in International Arbitration," and he co-edited annually "The AAA Yearbook on Arbitration & the Law." Born in Amarillo and raised in Denton, Sheppard received his J.D. in 1968 from the University of Texas School of Law where he was a member of the Texas Law Review and the Order of the Coif. He clerked for the Hon. Homer Thornberry of the 5th U.S. Circuit Court of Appeals from 1968-69. Ben is survived by his wife, of 52 years, Valerie Sheppard; his son, Paul Sheppard, of London England; and his daughter, Suzanne, of Sugar Land, Texas. A Celebration of Life will be held at 3:00 p.m., today, March 8, in the Jasek Chapel of Geo. H. Lewis & Sons, 1010 Bering Drive, Houston, followed by a reception in grand foyer.